Markus tests the 'extraordinary' Indirect Litemotiv 190 from Elinchrom and adapts it for the Flashpoint Xplor 600 Pro. If you already read my recent article on this site about cross brand adaptations, you know that the Elinchrom Zoom Spot 18–36° is one of my current favorite key lights. In order to maximize my adaptation of these spots for Flashpoint XPLOR 1200 extension heads (Godox H1200) and the new AD600 PRO units, I made sure to add the small reflector that is a standard for all Elinchrom flash heads, to my adapters. Initially, I combined the Phottix Elinchrom to Bowens adapter with the reflector from the Elinchrom Quadra adapter, by adding a custom, acrylic tube piece. This solution proved to be not as durable as I hoped, and I since found a simpler solution. I now use the entire Quadra adapter, but added a Bowens low profile custom mount to the back of the Quadra adapter, and also eliminate the stand adapter piece entirely. This is by far more solid, and avoids struggling with the lesser Phottix adapter. Elinchrom deserves much praise for keeping a theatrical follow spot in their line up, which they also sell at a very reasonable price. Both Broncolor and Profoto have sadly long discontinued their own versions of the theatrical zoom spots. Elinchrom also gets very high notes from me for an outstanding modifier I only recently discovered, the extraordinary Indirect Litemotiv Octa 190cm. Priced very reasonably as well, the Elinchrom Indirect Litemotiv delivers perfect even output, from edge to edge, without any hot spots whatsoever. It is also lightweight and very easy to rig, and quite shallow, so it fits even in tight spaces. The Litemotiv is a great, affordable and capable replacement of the Broncolor Hazylight Soft, which I previously used for many years. In contrast to the Litemotiv, the Hazylight is heavy, cumbersome and needs its own special, large Flamingo stand. With its ridiculously expensive stand, the Broncolor Hazy comes in at about 12 times the cost of the Elinchrom Indirect Litemotiv, but the effects of both lights are quite comparable, with the added benefits of easy handling of the feather-light Litemotiv. A C-stand is all that is needed for this gem. The Elinchrom also folds up for storage in a few seconds, while the glass fiber-reinforced polyester Broncolor takes up nearly as much space as a mid-size sedan. The Indirect Litemotiv also benefits greatly from using the same modified Quadra adapter as for the Zoom Spots. The initial impression of the Indirect Litemotiv may be that it is some sort of simplified Broncolor Para, but this is really not the case. The Litemotiv is basically a large window on a rainy London day. I do not know of any other modifiers, except for the Hazylight, that are capable of such even and beautiful output. Shot with the Fujifilm XT2 and 18mm f/2. 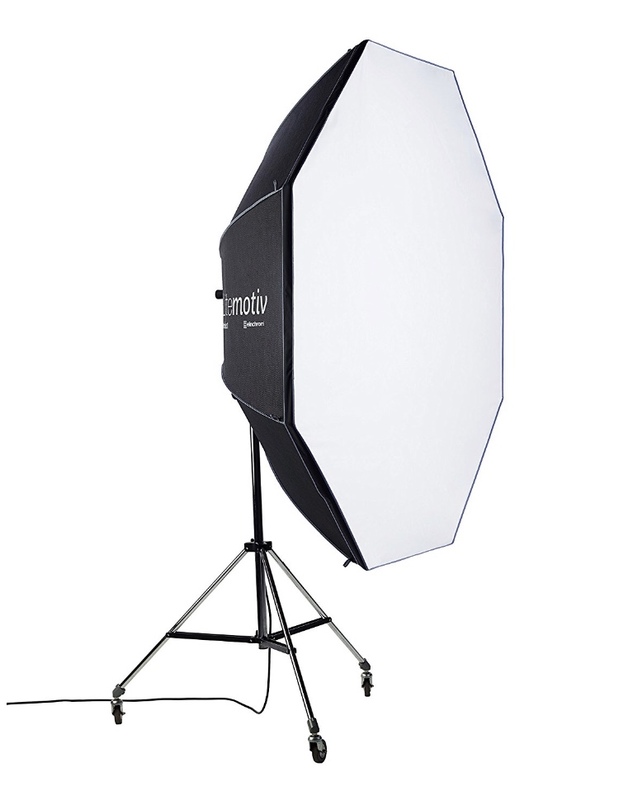 The Elinchrom Indirect Litemotiv is the only light source. Fujifilm GFX with 120mm macro f/4. The Elinchrom Indirect Litemotiv is rigged from above like a skylight, with a Flashpoint EVOLV on camera, and a Cheetahstand Quick lantern as lower fill. I wish that Elinchrom’s new Phottix joint-venture, portable battery flash was as successful as the select modifiers discussed above. 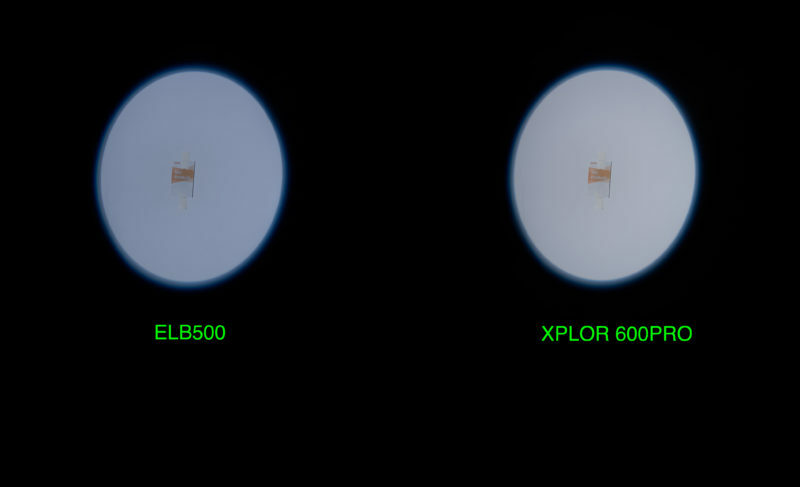 I tested a pre-production version of the ELB 500 TTL today, and it failed to impress, when compared it to the state of the art Flashpoint XPLOR 600 Pro. It not only lacks the power and speed of the Flashpoint, but comes in at double the Pro’s price. Fujifilm GFX with 63mm f/2.8. Elinchrom Zoom Spot at 2m, both at full power f/32, ISO 100, 1/125 second. Despite the advantage of the native modifier, the ELB500 lacks in power and recycles very slowly. But, the ELB 500 is very pretty to look at and cute to handle, so it may appeal to a similar audience that buys Leica cameras: affluent amateurs, with brand name appetite, such as dentists and lawyers, who may enjoy this new flash. In itself, there also is not really anything wrong with the ELB, and it really is extraordinarily cute. Just when pitted against the new market leader, it seems hard to justify any aspects of it. Based in the US, Markus Klinko is an award-winning, international fashion/celebrity photographer and director, who has worked with many of today's most iconic stars of film, music, and fashion.